If you flew on this flight or would like to purchase a copy of the photo's then you can either get them sent instantly to your inbox or a USB stick sent in the post. Email - Purchase online and get them sent automatically to your inbox within seconds of the payment clearing! All photo's from that flight will be sent. USB - Purchase online and we will send you a USB stick in the post containing your in-flight photos (additional postage charges apply). 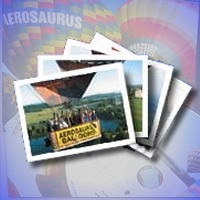 If you’d like to purchase a Refundable Balloon Ride Voucher then just click on the “Add to Cart” button below and then proceed to the checkout / shopping cart. NB: At the next stage of the checkout you can decide if you want an instant eVoucher or postal delivery. 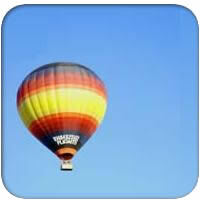 Please note we can offer Next Day delivery services as well. Refund of £140 if your flight is cancelled. 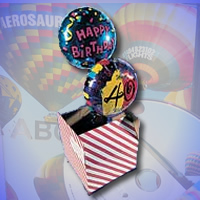 Add a balloon in a box to this order for only £20. All Boxes arrive to the desired address on the date you set within the checkout area.